Become part of the team of caregivers who provide care and services to St. Luke residents and are an essential part of fulfilling our mission. We pride ourselves in our tradition of excellence and compassion in meeting changing the care needs of those who make St. Luke their home. Here you will find a warm nurturing work environment where commitment to outstanding resident care is valued. Many of our employees have been a part of our team for over 20 years. At St. Luke we provide career opportunities to help you build a great future. We offer an excellent wage and benefit package along with set schedules and every other weekend off. Join our team and fulfill your desire to serve others. Apply online or in person at any location. Open interviews for North Canton, Portage Lakes and Minerva facilities at our North Canton location. Accepting applications for PRN/On-call positions at all facilities. Please inquire for more details. 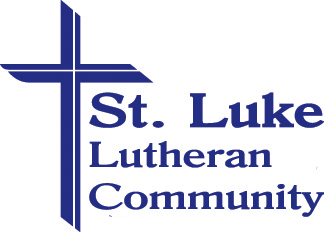 St. Luke Lutheran Community offers a tax-sheltered 403(b) retirement savings program for part- and full-time employees. Contributions are made through payroll deductions, which are made on a pre-tax basis. 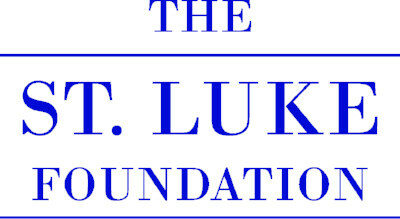 St. Luke provides matching contributions after one year of service. As an employee's tenure increases, the amount of matching contributions increases as well. Employees have many investment choices and are never charged any type of service fees while employed. St. Luke's program is provided and managed by Lincoln National Life Insurance Company. Lincoln is a leader in the retirement savings industry and provides employees with investment counseling and information. Employees may enroll at any time during a quarterly enrollment period. St. Luke knows that employees are concerned about medical benefits. Health Care costs are rising and employers are cutting back on the medical benefits that they offer to their employees. St. Luke believes that employees deserve quality medical coverage. Multiple coverage options are available and all premium charges are done through payroll deduction on a pre-tax basis. Medical, dental, vision and prescription benefits are available under this plan. The program is structured as a Preferred Provider Organization (PPO), which means employees have a choice as to their medical providers. Full time employees become eligible for coverage after 60 days of continuous employment. These benefits are offered to all full time employees at no cost. The life insurance provides a $15,000 basic policy and the disability provides coverage for up to 26 weeks. St. Luke realizes that employees make benefit choices based upon what is important to them and the needs of changing lifestyles. That is why St. Luke provides a voluntary benefit program of which most full- and part-time employees can take advantage. A variety of benefits such as additional life insurance, accident insurance, additional disability insurance and cancer insurance are offered. Employees have the opportunity to take advantage of group premium discounts and payroll deductions for premiums. One of the few ways to lower out-of-pocket medical expenses is through the use of flexible spending accounts. St. Luke offers this benefit to all employees at no cost. The medical FSA allows employees to deduct funds through payroll to use for a variety of medical expenses such as deductibles, co-insurance, prescription costs, and some over-the-counter drugs. All funds deposited in the FSA are exempt from federal, state and local payroll taxes. We realize that everyone wants to be with their families during holiday times. In order to fulfill our mission, we ask that each employee work 4 holidays per year. When an employee works on holidays, he/she earns time and a half while working. On the holidays when the employee is not required to work, he/she receives paid time off. Employees are eligible for 4 paid holidays each year. Employees are offered a generous paid-time off program which can be used for vacation, sick leave, personal days or other days as they choose. PTO earnings increase along with an employee’s tenure. The amount of earned time off depends on the number of hours an employee works.